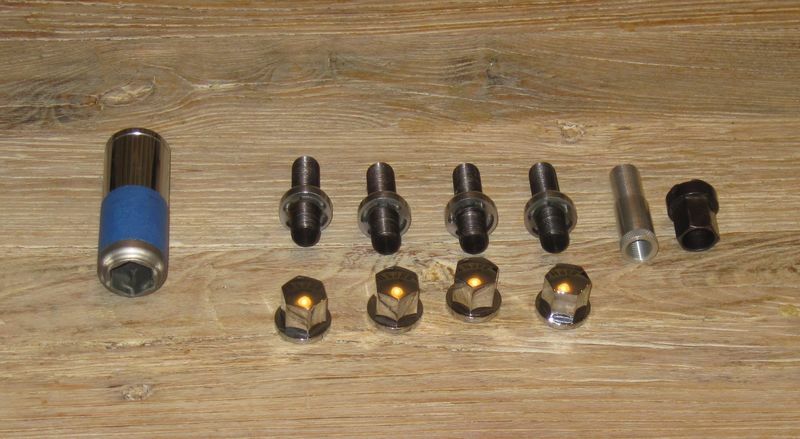 Four security lug bolt assemblies. Made by Ralph Boothe. Very good to excellent condition. Were installed on a Cayman 987.1 without wheel spacers, but should fit many other Porsche models. 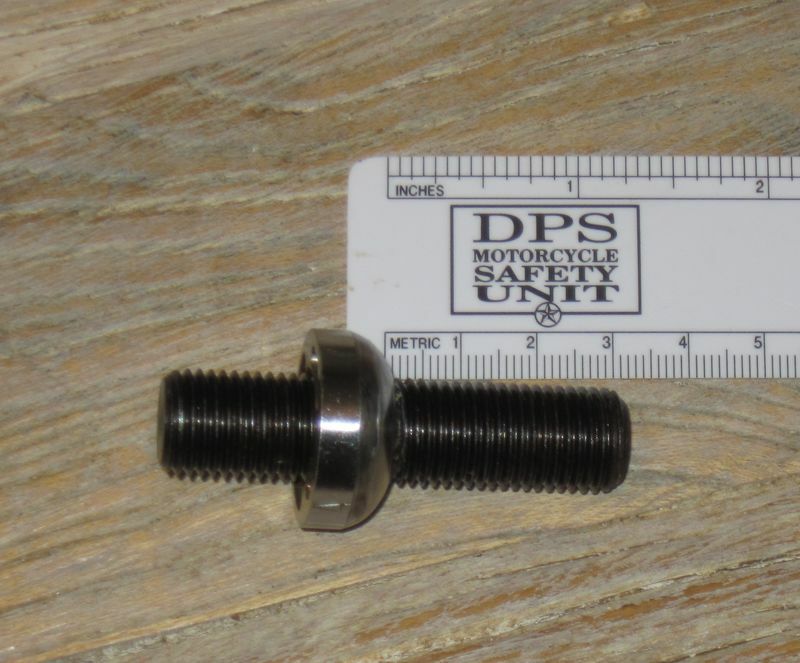 Also, a 1/2" drive deep "soft socket". A 24 mm deep socket with an internal sleeve that takes it down to 19 mm. The blue painters tape I added. Very good to excellent condition. $75 delivered to a USA mailbox.